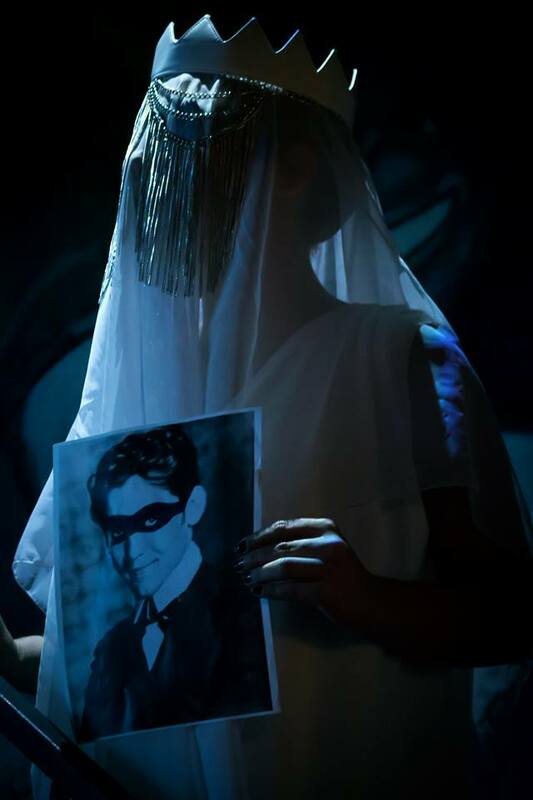 A Play with Music based on Federico Garcia Lorca’s THE AUDIENCE. Performed in Spanish with English Supertitles. An adaptation by Frank Cabrera and Yesler De La Cruz based on Federico García Lorca’s “El Público” (The Audience) and on true events of the life of the famous Spanish poet & playwright. A dream-like trip connected through live music including Lorca’s lyrics set to music and performed by Gretell Barreiro y Yesler de la Cruz. 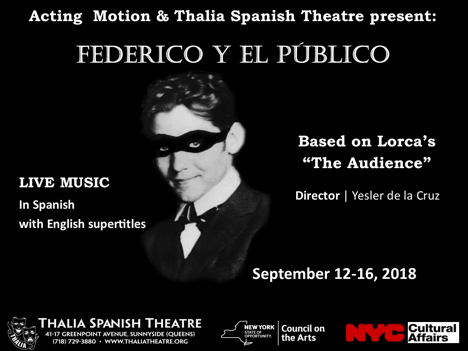 After a month of successful presentations in Miami, “FEDERICO Y EL PÚBLICO” will be in New York on the stage of the Thalia Spanish Theatre from September 12 to 16, 2018. 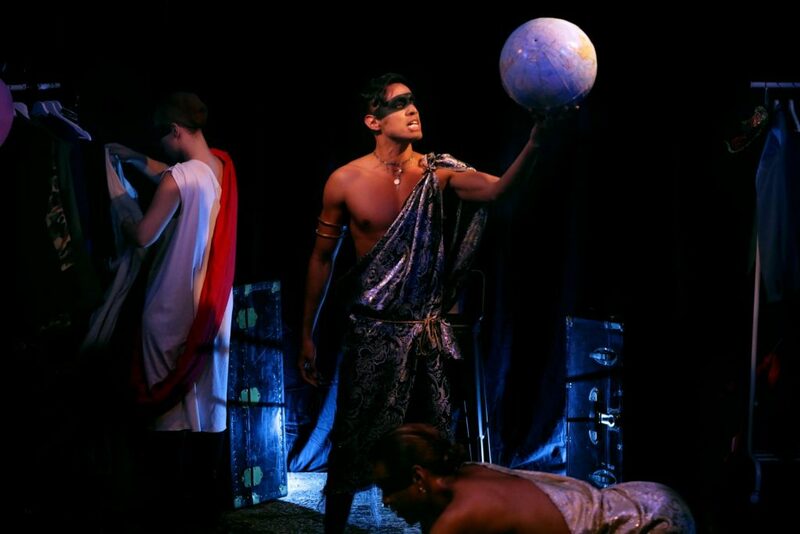 The cast is made up of a group of renowned actors, including the multi- awarded Yesler de la Cruz, along with Gretell Barreiro, Julio Arroyo and Rafael Farello. This piece has original live music, performed by Julio López and Gretell Barreiro. Before traveling to Granada, his native town, Federico decides to leave the incomplete manuscript of his last piece with his friend Rafael. Overcome by fatigue, falls asleep on the train that takes him back home, and wakes up in a world of dreams where reality and fiction intermingle. In this hallucinated representation there is no time or space. Curious characters appear in avalanche on the stage threatening to inaugurate the Theatre Under the Sand. Lorca decides to divest himself of all his masks and accept his true essence without fear of criticism, revealing his deepest art. Pictures: Carlos Toshiro and Christian Torres. Original Music: Yesler de la Cruz and Gretell Barreiro. General Production: Milkos D Sosa & Acting Motion. General Direction: Yesler de la Cruz.